Our Rhino Tuff Brand of FRP Oil Storage Tanks are used to store & handle different types and grades of industrial & commercial oils at a relatively high operating temperature & pressure. Fibreglass Reinforced Plastic (F.R.P.) using various types and grades of Resins to suit a given application the requirement of the end user. The choice of Resin- Epoxy, Vinyl ester or Un-Saturated Polyester primarily depends on the factors noted above. The overall wall thickness of the Fibreglass Tanks is governed by the pressure inside them. Our FRP Tanks are manufactured for ground, underground & overhead applications. FRP Oil Tanks can be manufactured in a Monolith as well as Panel Type. The Panel Tanks are used mostly used for over head applications and are assembled at sites using fasteners. The FRP Panel Tanks helps saving on transportation cost & are relatively easy to repair and maintain at a later stage. 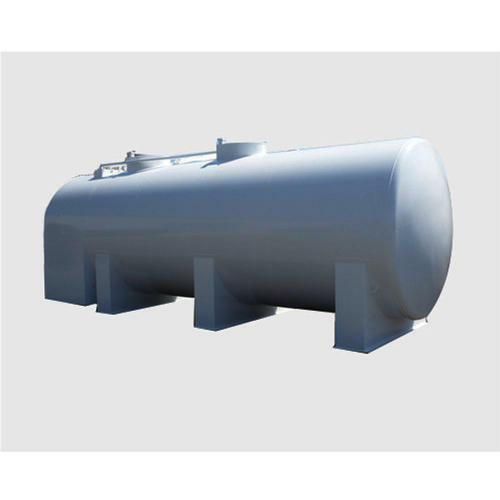 Shape of the FRP Tanks that we manufacture include Cylindrical, Spherical, Rectangular, Square, Dish ended as well as Tapered base. There is a complete freedom in choosing design of the Tanks to suit the requirement of the end user. We were established as a Sole Proprietorship Firm in the year 2010 under the visionary leadership & guidance of our Director Sh. Saneer Anand. Our state of the art Production Facility is located at Faridabad in Haryana. We pride ourselves in offering customized and cost effective solutions to the natural ventilation, building & construction as well as material handling & storage needs of a wide spectrum of Indian Industry. We have served several manufacturing companies including O.E.M.s and have partnered several large and reputed project consultancy firms, architectural companies, building and construction companies in executing world class industrial, commercial and infrastructure projects in India. Our Clients include Indian & International Conglomerates such as Tata Group, Mahindra Group, Aditya Birla Group, GMR Group, Vedanta Group, LG Electronics Ltd., India Yamaha Motors Ltd., Larsen & Toubro Ltd., Patanjali Ayurveda Ltd., Hindustan Unilever Ltd., Jindal Industries Ltd. and Dabur India Ltd.
Our manufacturing processes are robust, fungible and adaptable to our customers' bespoke requirements and we endeavour to keep abreast with the latest technological developments. We have in-house capabilities to engage with a client at various stages of product development including design, validation, testing and delivery. We benefit from a large and reliable supplier base for our raw materials and special processes, which enables timely manufacturing and delivery of products. Our advanced manufacturing processes coupled with our technological and engineering expertise has enabled us to deliver world class products over a period of time. Quality and consistency are built into all our Products and Services to attain a high level of customer satisfaction. In fact Brand ‘Rhino Tuff’ epitomizes excellent quality, performance and high durability. The strategic thrust of our Business is to offer unmatched value to our customers by selling excellent ‘zero-defect’ quality at highly competitive prices. We hope our submissions have provided you with an insight into our areas of operation and our product range.